For one of the first names on the Borussia Mönchengladbach teamsheet, and fresh from signing a new four-year contract with the Rhineland club, the future looks very bright indeed for Patrick Herrmann. At a club that was on the brink of relegation in 2011 to consistently finishing in the European places more recently, Herrmann has been one of the few constants in personnel and at the forefront of a Borussia team harking back to the club's glory days of old. It all began for him at FC Uchtelfangen, but it wasn't long before one of the Saarland region's bigger boys came knocking when, aged 13, Herrmann joined hometown club 1. FC Saarbrücken. Four years later he was on the move again, this time heading north to Gladbach following their relegation from the Bundesliga. He took his place in their youth academy and it was not long before he was knocking on the door to the first team. Since making his debut in January 2010, against VfL Bochum, Herrmann's individual displays in a more advanced role led to him forging and then cementing a place for himself in coach Lucien Favre's attack-minded, counter-attacking team. He enjoyed an excellent 2011/12 campaign to help the club finish in the qualification places for the UEFA Champions League but had the misfortune of missing out on UEFA Euro 2012 with injury. His progress since then has continued unabated and it was not long before he was being considered for a place in the Germany set-up. Indeed, his first call up to the senior national side came in 2014, for a World Cup qualifier against Kazakhstan. 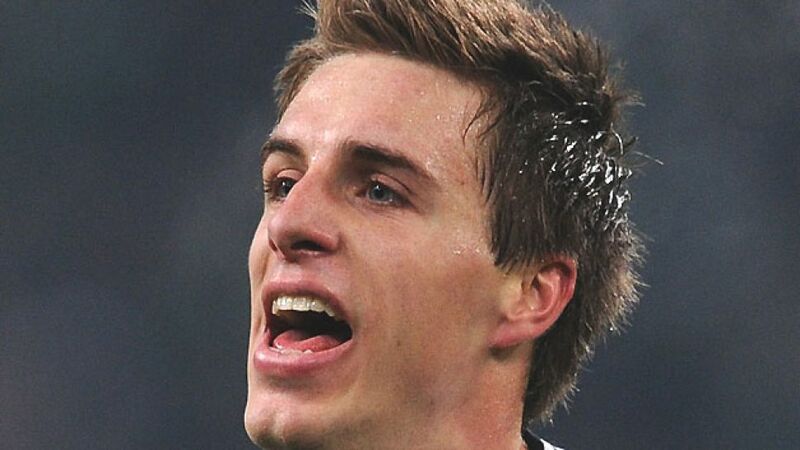 Although not shortlisted for the 2014 FIFA World Cup, Herrmann remained on Germany coach Joachim Löw's radar and, after penning a new four-year contract with Gladbach in April 2015, made it clear he wants his path to lead into the national team. With the 2014/15 season being his best yet in terms of goals, he seems ready to realise that ambition.